Metal Gear Rising Not Coming To PS Vita Due To "lack of power"
As of now we aren’t considering a Vita version. 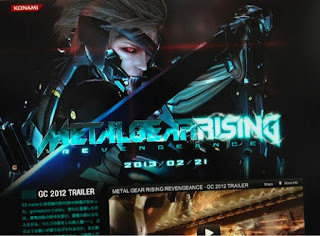 The reason is one of the main appeals of Metal Gear Rising is this option of the free cut. That requires a lot of hardware power, which is only possible with the power of a PlayStation 3 or Xbox 360. So as of now, we haven’t contemplated bringing it to handheld consoles. Let us know what you think of Metal Gear Rising on PS Vita in the comments below!